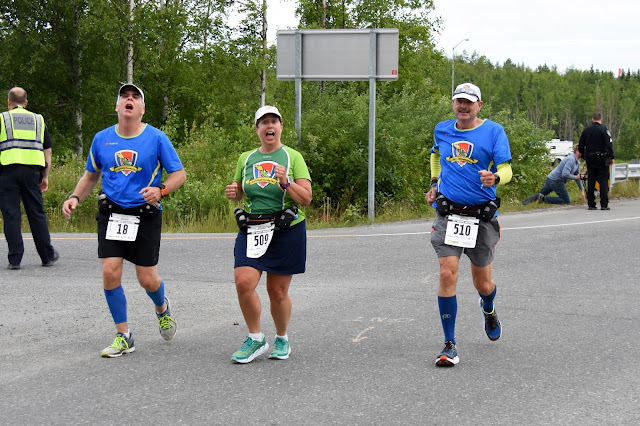 Here's Holly's race report for the Mayor's Midnight Sun Marathon along with some video and Dave's race chasing comments. When I say I’m trying to run a marathon in all 50 states, everyone always asks what about Alaska?!? Believe it or not there are several marathons in Alaska. 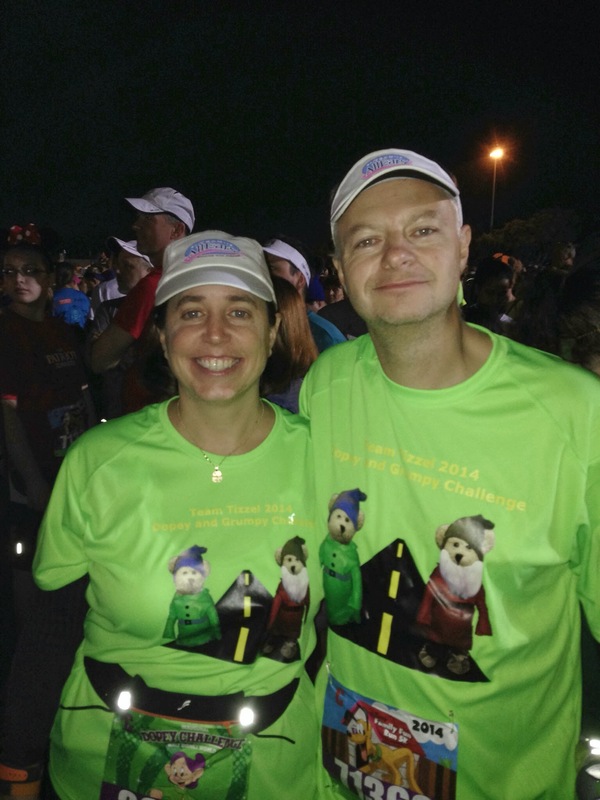 We chose the Mayor’s Marathon due to the ability to schedule it with a cruise and land tour. We already covered the pre race festivities. Race morning started with us driving out to the start from our hotel. 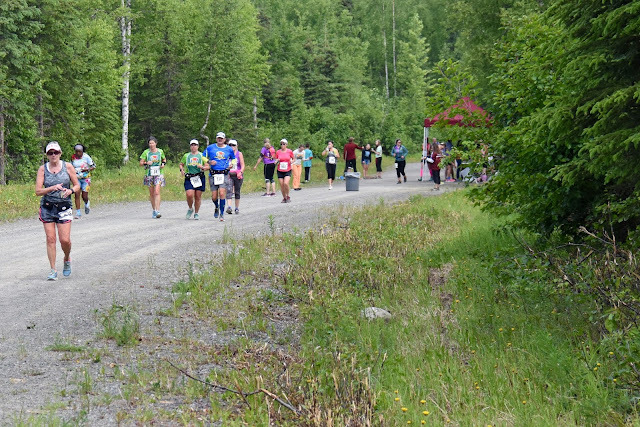 This is a point to point course and the race started a bit of out town and finished in downtown Anchorage. Stan and I were running the full and Lee and Laura were running the relay. Dave and Pam were race chasing. The weather was perfect, about 50 degrees and overcast but no rain and the sun would peek out occasionally. 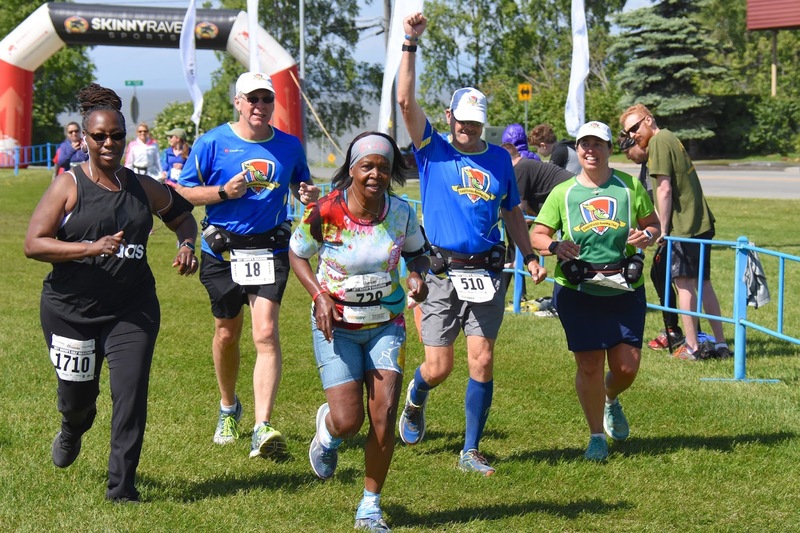 There were a lot of people finishing their 50 states quest in Alaska and it got me excited for when I would be doing that in Hawaii. The start was nice and soon we were off and running along a nice paved trail by the highway. The course was relatively flat with a few rolling hills. We did have several miles of gravel and even some areas of single track trail. This made it challenging and we were very happy to be done with that section of the course. 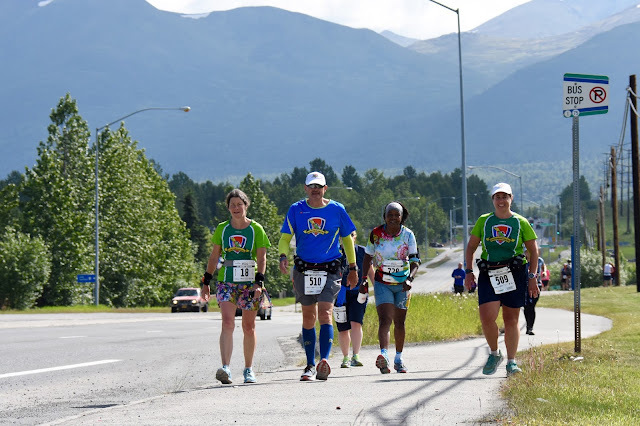 We were on the lookout for bears and moose (the day after the marathon a young runner was killed by a bear during a cross country race in Anchorage). It was a beautiful course with lots of mountain views all around you. 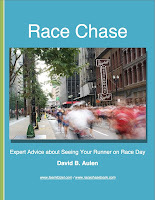 Our race chasers did a good job with a difficult course to follow. They even walked a 1/2 mile through the woods to get to us. I’m glad they didn’t see any bears! We all felt pretty good and we were excited to be running a marathon in Alaska! The course volunteers were great and the water stops plentiful. 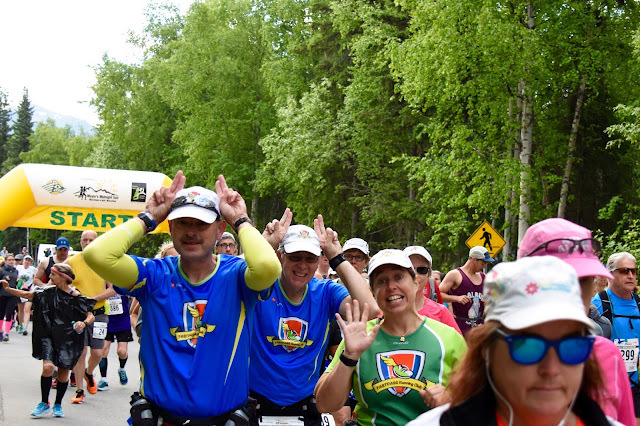 We did get to see a moose at Mile 23 and that was very cool. The end of the race is very cruel. Two massive uphill’s to get to the finish. 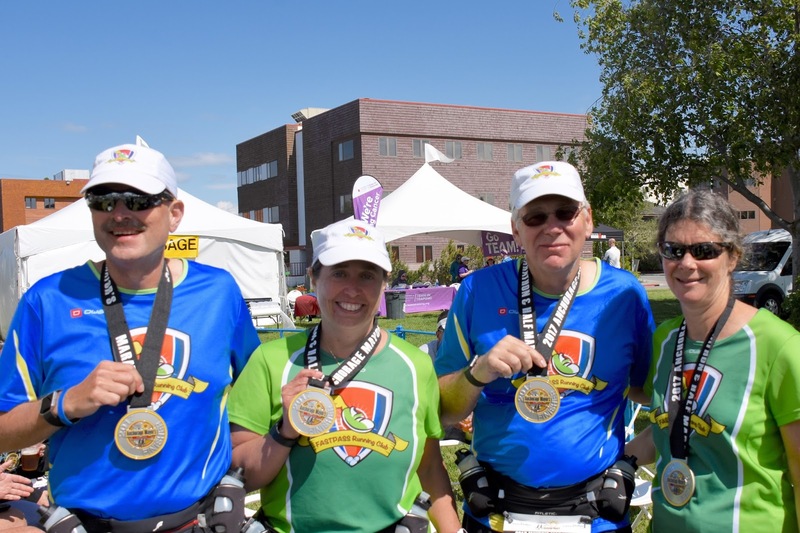 But we were done and got finisher medals, shirts and some decent food. They had beer but you had to buy it, the proceeds went to charity so that was ok by me! Now the race was over and it was time for the vacation to begin! This was not a course designed for spectating. After the start the first real opportunity we had to park and wait for the runners was mile 4. Before that, they were on a path that followed the highway. Road closures and detours barely got us to the relay exchange point in time - which ended up being almost a mile earlier than indicated. We swapped Laura for Lee at mile 6.3 and then headed off to the next spectating point - mile 13. This route gave us the opportunity to finally stop somewhere for a coffee. To get to the mile 13 viewpoint we had to drive around a subdivision and find the secret entrance to the running trail. This involved braving a very narrow wooded path and the mosquitos. Mile 15 was also a little sketchy as we had to follow a truck down the road in a slow caravan to the spectating area. We arrived at the same time as our runners and hurried the heck out of there to join the convoy back. The rest of the course was back to residential streets and trails so we didn't have too many more viewing opportunities. We traded Laura for Lee at mile 21ish so they could complete their relay. At least parking in town at the finish line was easy and I got a sweet spot near the finish area.